Measuring the toxic effects of chemical compounds on different types of cells is critical for developing cancer drugs, which must be able to kill their target cells. 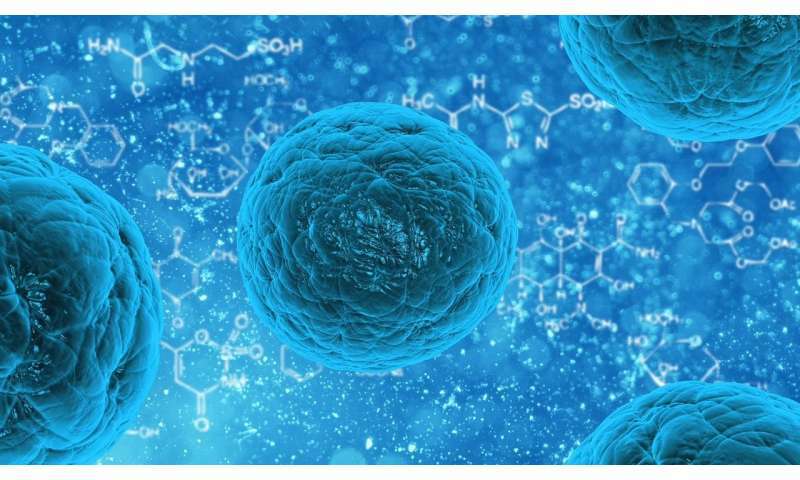 Analyzing cell survival is also an important task in fields such as environmental regulation, to test industrial and agricultural chemicals for possible harmful effects on healthy cells. "Cytotoxicity assays are one of the most commonly used assays in life sciences," says Bevin Engelward, a professor of biological engineering at MIT and the senior author of the study. Le Ngo, a former MIT graduate student and postdoc, is the lead author of the paper, which appears in the Feb. 5 issue of Cell Reports. Other authors include Tze Khee Chan, a former graduate student at the Singapore-MIT Alliance for Research and Technology (SMART); Jing Ge, a former MIT graduate student; and Leona Samson, Ngo's co-advisor and an MIT professor emerita of biological engineering. The traditional test for measuring cell survival, known as the colony formation assay, involves growing cell colonies in tissue culture dishes for two to three weeks after exposing the cells to a chemical compound or another harmful agent such as radiation. A researcher then counts the number of colonies to determine how the treatment affected the cells' survival. Part of Engelward's motivation for this study was the memory of the long hours she spent counting such colonies as a graduate student. "The counting is really laborious and painfully difficult because you have to constantly make judgement calls as to what is a colony versus debris," she says. "Few people use the colony formation assay anymore because it's difficult, way too slow, and requires huge amounts of cell growth media, so you need a lot of the compound being tested." In recent years, scientists have begun using other methods that are faster but not as accurate and sensitive as the colony formation assay. These tests do not measure cell growth directly but instead analyze mitochondrial function. Engelward and colleagues set out to develop a test that could generate results in just a few days while still matching the accuracy and sensitivity of the colony formation assay. The system they invented, which they call the MicroColonyChip, consists of tiny wells on a plate. Treated and untreated cells are placed into these wells and begin to form very small colonies in a grid pattern. Within just a few days, before the colonies become visible to the naked eye, the researchers can use a microscope to image the cells' DNA, which is fluorescently labeled. By modifying code originally developed by former MIT postdoc David Wood and MIT Professor Sangeeta Bhatia, the researchers created a software program that measures the amount of fluorescent DNA in each well and then calculates how much cell growth occurred. By comparing the growth of treated and untreated cells, the researchers can determine the toxicity of whatever compound they are studying. "We have an automatic scanning system to do the fluorescent imaging, and afterward, the image analysis is completely automated," Ngo says. The researchers compared their new test to the gold-standard colony formation assay and found that the results were indistinguishable. They were also able to precisely reproduce data on the effects of gamma radiation on human lymphoblastoid cells, collected 20 years ago using the colony formation assay. Using the MicroColonyChip, the researchers obtained their data in three days, instead of three weeks. "We were able reproduce radiation studies from 20 years ago, using a process much easier than what they did," Engelward says. The researchers also compared their new test to the two toxicity tests that are most commonly used by researchers and pharmaceutical companies, known as XTT and CellTiter-Glo (CTG). Both of these tests are indirect measures of cell viability: XTT measures cells' ability to break down tetrazolium, a key step in cellular metabolism, and CTG measures intracellular levels of ATP, molecules that cells use to store energy. "The MicroColonyChip is much more sensitive than the XTT assay, so it really gives you the ability to see subtle changes in cell survival, and it is as sensitive as the CTG assay while being more robust to artifacts," Engelward says. Using the new test, the researchers examined the effects of two DNA-damaging drugs used for chemotherapy and found that they could accurately reproduce the results obtained using the traditional colony formation assay. "We now plan to expand those studies in hopes of demonstrating that the test works for many more types of drugs and cells," Ngo says. In addition to being useful for drug development, this test could also be helpful for environmental regulatory agencies responsible for testing chemical compounds for potential harmful effects, Engelward says. Another possible application is in personalized medicine, where it could be used to test a variety of drugs on a patient's cells before a treatment is chosen.